On 28 January, the Nursing and Midwifery Council (NMC) withdrew its standards for medicines management. The standards, which are still available as a historical document for reference only, have been replaced by guidance from the Royal Pharmaceutical Society (RPS) and the RCN, endorsed by the Royal College of Midwives. In the now-defunct NMC standards, the section on transcribing offered specific guidance to registrants, including that they only undertake transcribing in ‘exceptional circumstances’ and not as routine practice. It defined transcribing as ‘any act by which medicinal products are written from one form of direction to administer to another’, with examples including discharge and transfer letters, and copying illegible patient administration charts on to new charts. It also offered guidance on transcribing in care homes, which included ensuring medicine charts with transcribed information are checked by another registrant or competent health professional. It stated that the registrant is accountable for what they have transcribed. The new guidance from the RPS and RCN makes it clear that its application is a multidisciplinary responsibility. Rather than focusing on individual registrants, it puts the onus on employers to have policies and procedures in place for transcribing. If these policies are to reflect the needs of front-line staff and ensure patient safety, they need multi-professional involvement from the outset. Those developing the policies need to consider the services they deliver, the patient groups they care for, the frequency of the need for transcribing and the potential risks versus benefits to patients. The guidance states that organisational policies and procedures for transcribing are underpinned by risk assessment, and that such policies are clear about who can transcribe, when it is acceptable in clinical practice, and the difference between transcribing and prescribing. Understanding the difference between transcribing and prescribing is vital for practitioners – failure to do so could mean nurses fall foul not only of this guidance and the NMC code, but also of the law. Organisations should have safeguards in place to ensure transcribed information is not inadvertently used as a prescription. 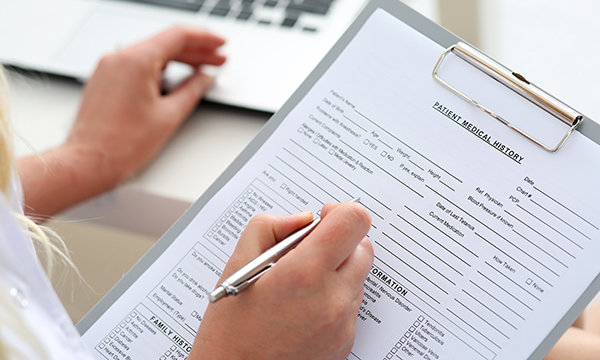 Organisational policies should also make it clear which forms of documentation practitioners are allowed to transcribe over to, and whether there are forms of documentation which should not be used, such as inpatient or outpatient prescription forms and discharge summaries. The guidance states that transcribing cannot be used in place of prescribing to issue or add new medicines or alter/change original prescriptions. If a non-prescribing nurse alters a medication dose, time and route of administration, or add a new medication, they are overstepping the mark as they are changing the direction rather than copying information. Others might then follow this, either transcribing or repeat-prescribing from this information. Any organisational policies or procedures must therefore make a clear distinction between transcribing and prescribing. The guidance makes it clear that ‘transcribing should only be used in the patient’s best interests to ensure safe and continuous care: ensuring the medication is administered accurately, without undue delay’. This is particularly helpful for patients on time-critical medications – such as anti-epileptic drugs, anticoagulants and drugs used to treat Parkinson’s – where harm could be caused to the patient if they do not receive the medication on time. The guidance states that those undertaking transcribing should be appropriately trained and assessed as competent to do so. It is the responsibility of individual organisations to make sure their staff have received training and have been assessed. If an error occurs, causing harm or potential harm to a patient, proof that training and assessment had taken place would be a vital part of an organisation’s or individual’s defence. Organisations need to have audit trails for all transcribed medicines. As healthcare-related legal cases can take several years to come to court, and the staff involved may have moved on, it makes sense that clearly legible names and NMC PIN numbers be used to identify who has transcribed a medication, and that this was undertaken as an act of transcription and not prescribing. The guidance states that medicines are not to be transcribed where details on the original prescription or documentation are illegible, unclear, ambiguous or incomplete. Any queries need to be addressed by the original prescriber. Organisational policies also need to make it clear that particular care should be taken – such as a double-checking system – when transcribing details of high-risk medicines, such as insulin, anticoagulants, cytotoxics or controlled drugs. Organisational policies should have procedures for dealing with errors in transcribed information, including what practitioners should do if they discover an error, the duty of candour, investigation and root cause analysis. Any training issues should also be identified so the organisation can take action to reduce the risk of the error happening again. Transcribing is a complex area of practice and not something that should be underestimated by nurses, managers or the organisations we work for. Careful multidisciplinary working in advance will help ensure patients receive high quality care in relation to medicines and that patient safety remains our number one priority.